Very easy recipe and cooked in almost every kitchen in India. Add turmeric, red chilly, garam masala and chat masala powder. and mix well. Add salt and fry till potatos are crispy brown. Finally add chooped coriender and serve as side dish. hi harsh, u can also try it with green chillies but u have to ignore the red chilli masala for it. my husband loves jeera aloo but with green chillies. try it. 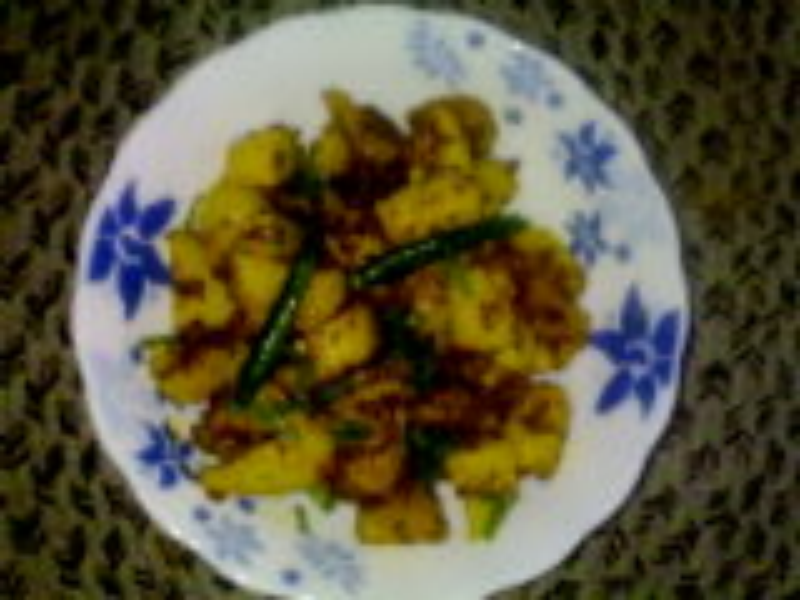 hi, mr. tripathi i loves ur receipe very much. Dear Shweta, Thank you for the best comment I have ever received. I am honoured. Hello, Mr. tripathi, till date, I may have tried countless variations of Jeera Aloo from all over the length and bredth of India.. But, honestly speaking, your's turned out to be an authentic one, indeed. My daughter loves this dish so much that she keeps on asking me to cook it for her atleast thrice in a week. Thanks anyways, meanwhile, keep up the good work. Regards, shweta. read ingredients, we are using boiled potatos only. You can cut potatos into 1" cubes. Hey I tried this recipe... This is so cool n tasty and so easy to prepare.... Thanx !!!! !